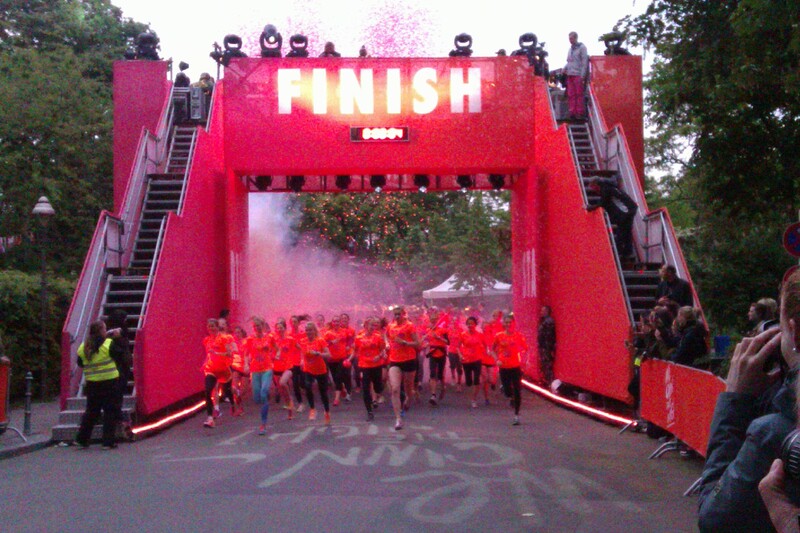 Friday evening is not normally scheduled as a time we would be running, however, on the 24th May, Nike held their first “We Own The Night” event at Ploetsensee, here in Berlin. Normally, I would be taking part, but a stress fracture means I am under strict orders to take a break for a while, so instead, this time I am reporting as an on-looker. 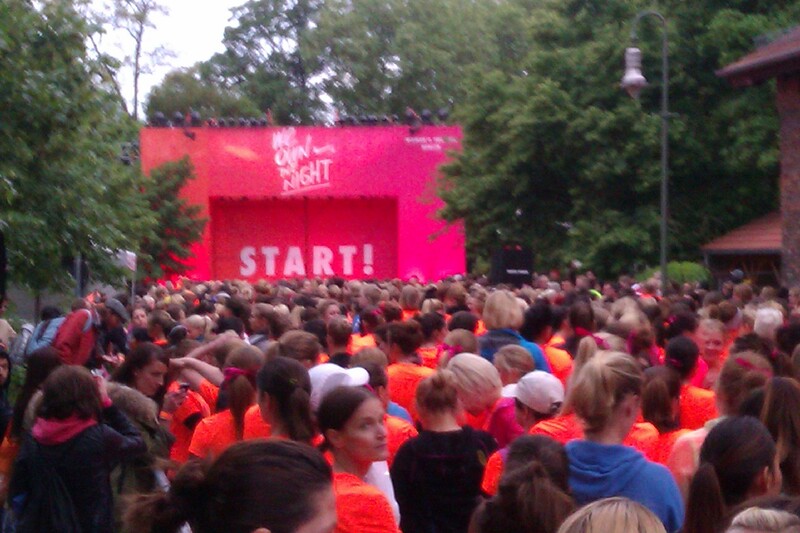 2,500 female runners lined up for this 10km race. 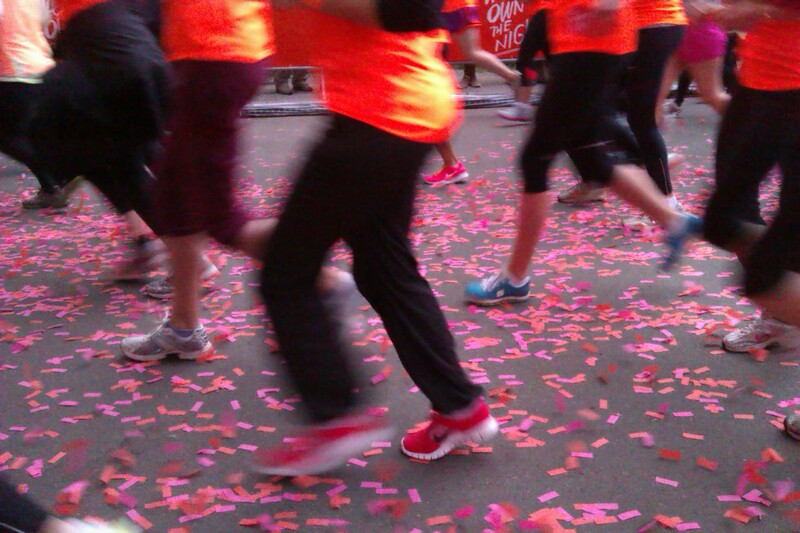 DJ’s were setting the mood, while runners waited in anticipation for the start line to open. On the sound of the gun, the girls were showered with confetti. The race was underway. The route was lined with laser shows, musicians and water stations. At the finish line Singer Crow was performing for the girls. Back at the runners village there was plenty on offer to take your mind of your run, and enjoy some R&R. Try on some new kit in the changing rooms. Trainers, tees, tights. Whatever you need. Maybe you just need somewhere to put on your free race T-shirt? In bright orange, it’s perfect for night runs. So, you’ve visited the Beauty Zone? Now you are ready for your post race photo. 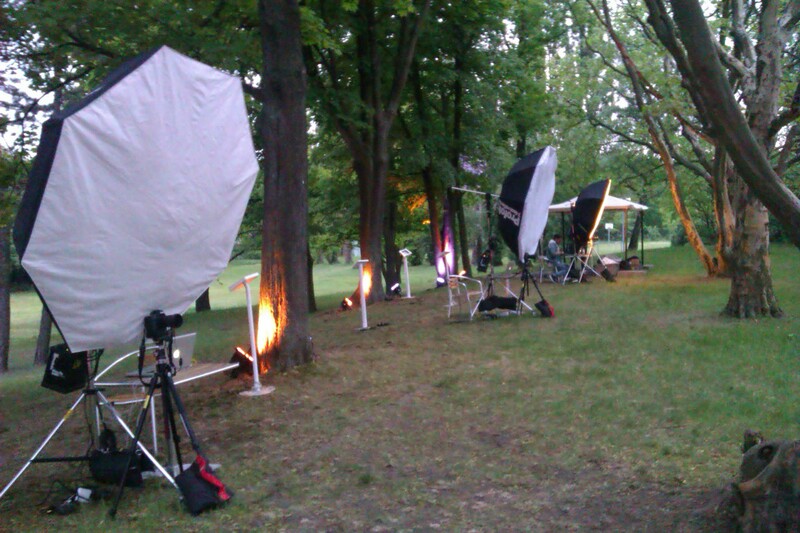 Then just a short flight of steps up to the outdoor photo studio. There was a wide selection of food and drink stalls to satisfy every appetite. 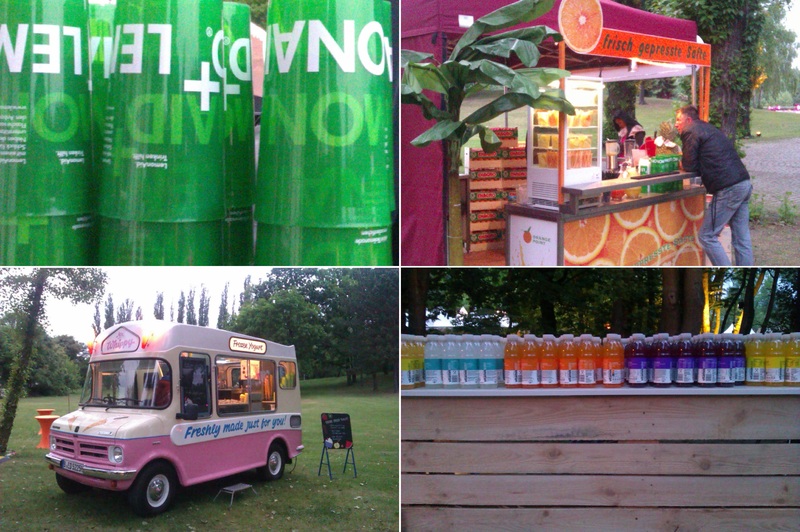 Healthy juices, salads, bbq’s and the not-so-healthy ice cream van. For us Brits though, a Mr Whippy ice cream is a rare sight to be seen! If, after all this, you were still looking for more, it was time you wandered down to the Strandbad, where the relaxation zone welcomed you with fully stocked bars, DJ’s by the waterside and a chill out zone. Open until 11pm, it was a mighty fine way to start the weekend. We think you should always look out for your local Nike event. Who knows what you will find. 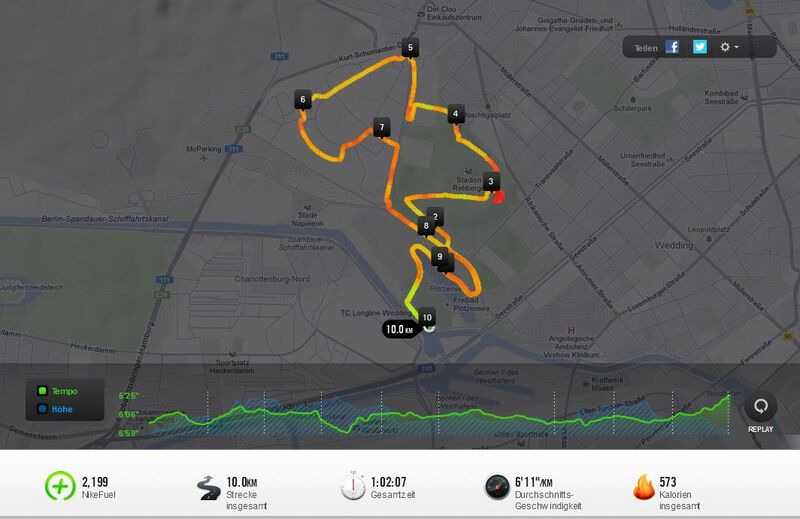 Here’s the route, for those of you wanting to follow the course around this pretty spot.